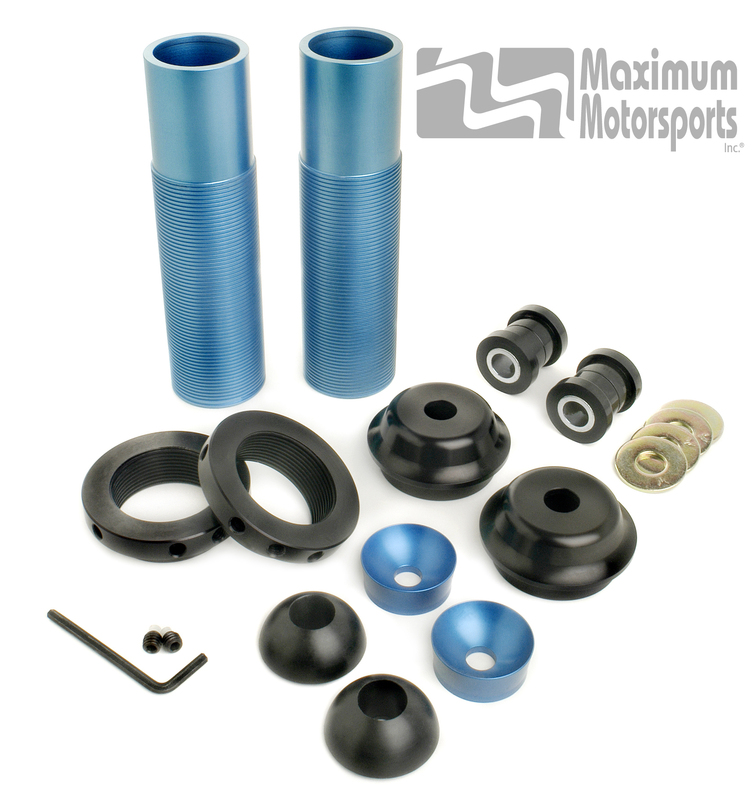 Mustang Rear Coil-Over conversion kit for Koni Single Adjustable shocks (IRS Cobra only). Springs not included. This same kit with springs included is purchased under our package, COP-7. You will need to have shocks modified to remove the metal dust boot. 8041-1270S-MOD is the part number for pre-modified shocks, or you can contact our sales department to send back your existing Koni shocks for modification at no additional charge. Shocks with dust boots removed are discounted from listed price when purchased with a coil-over kit. See details on product page.